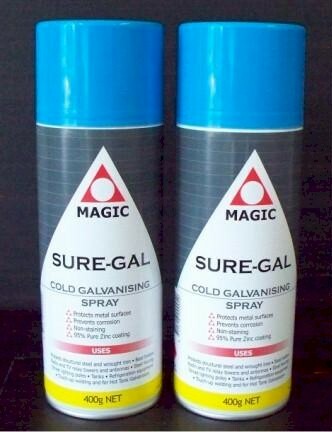 Sure-gal Cold Galvanizing Spray forms a flexible, tough coating of 95% pure zinc which electrochemically bonds with base metals. It protects base metals from rust and corrosion through galvanic action. 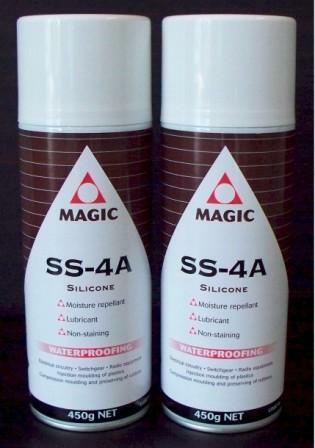 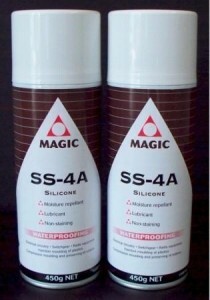 SS-4A is a silicone lubricant for use in industries such as steel and mining, marine, power stations, paper and printing, textile electrical automotive, moulding and other associated industries. 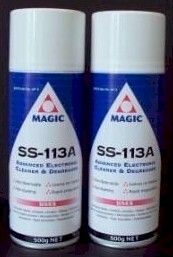 The special solvent system used in SS-113A utilizes the fluorocarbon range of chemicals and has been specially formulated to give selective solvency action for the removal of contaminate material such as oil, grease, solder flux residues and atmospheric dust or dirt from sensitive equipment. 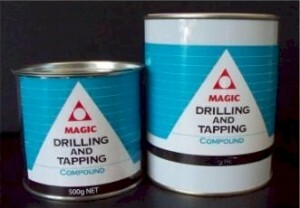 Drilling and Tapping Compound is a heavy duty extreme pressure compound suitable for general purpose or arduous duties as found in the metal working industry. 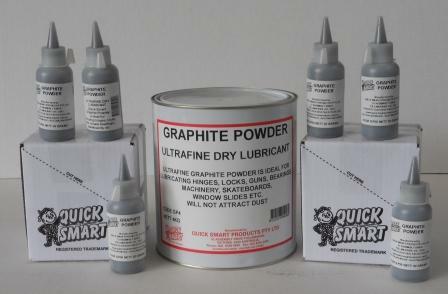 Graphite Powder is a dry lubricant, ideal to use for lubrication in applications where oil-based products will attract dust. 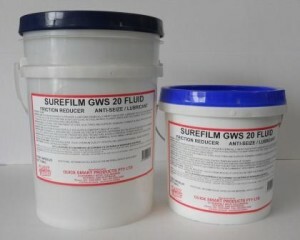 Surefilm GWS20 Fluid has been designed to provide a uniform chemically inert film of dry lubricant in situations where heat is extreme and a definite fire risk exists as found in steelworks, foundry brick and tile, cement, metal working, tubemakers and other associated industries.